Hello Foxy Make-Up Friends! 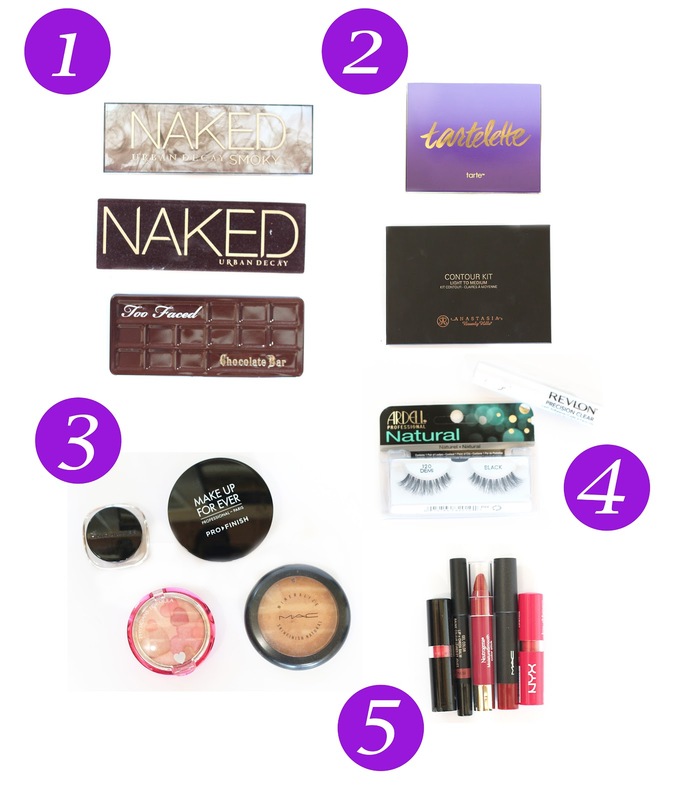 I'm back over sharing what's in my life with some of The Blended Blog Ladies...this time it's what's in my Make-Up bag. 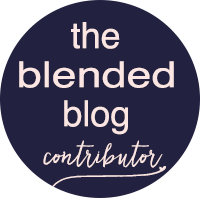 If you're coming from The Blended Blog, thanks for stopping by! 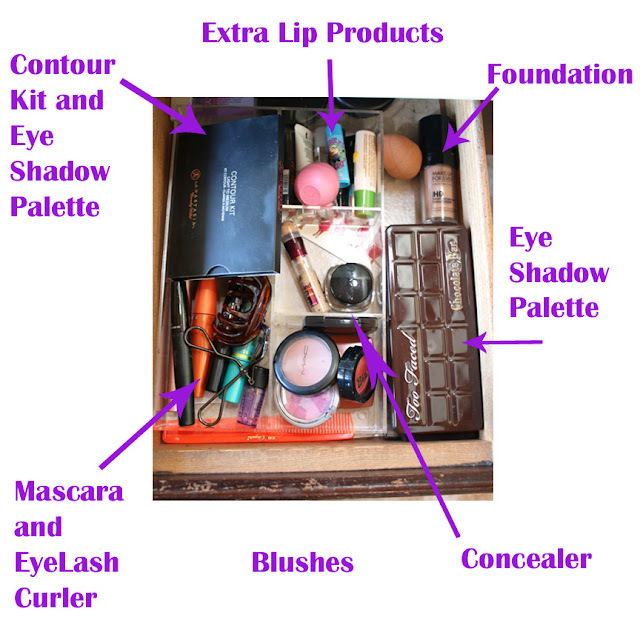 So the prompt says make-up bag, but I have a few drawers and a caddy, and don't really carry a make-up bag. So here is my stash. What you believe that I didn't really get into make up until last year? True story, I decided that I've worked on my accessories, then my wardrobe and the next thing was going to be to conquer make-up. I found YouTubers that has my same eye shape and watched a TON of videos, practiced when the kids were in the bath and then asked them how it looked. Let me tell you it probably took 2 months to actually get the cat-eye down. And even more time to get fake eyelashes down. Another post in itself. Anyway...let's get to the actual reason to this post. 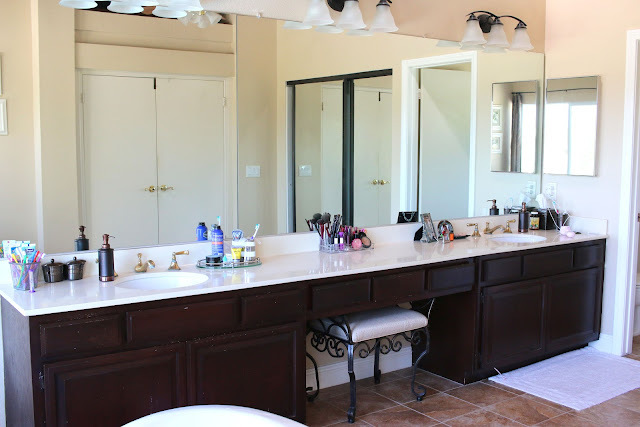 So here is my bathroom sink. 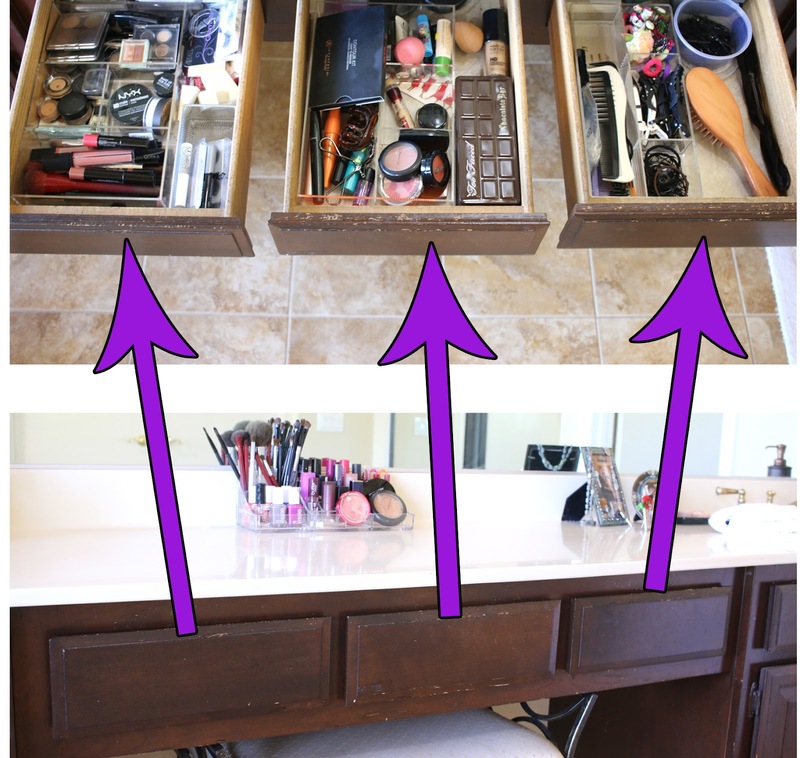 My make up stays in the middle three drawers. Oh wait, let's open them for you...welcome to my make-up stash. So the last drawer is some of my hair stuff, but it looked funny when I just opened two drawers...Let's start with the left drawer. And now the middle drawer. 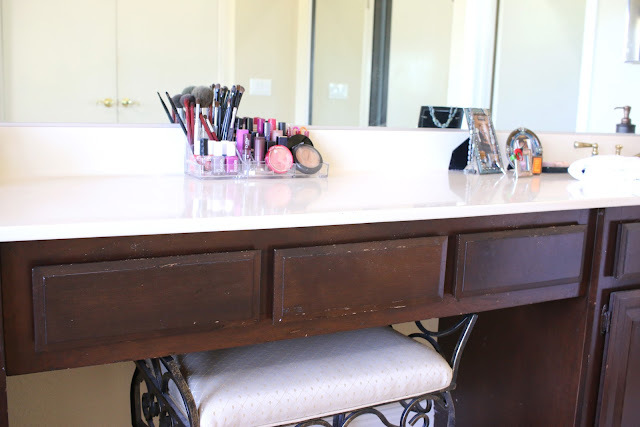 You wonder why I have a make up caddy on top of my sink? Well that is the stuff I use on the daily...let's take a closer peak. 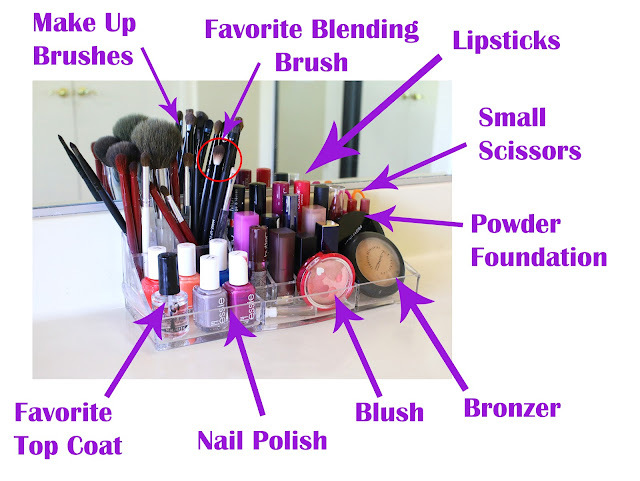 And if you were curious, which I'm sure you're not, but I like to overshare, if I do go somewhere I will typically pack my make-up bag with these things...ask Alison...she can vouch, we shared a room in Vegas, haha! I think I can say she was stunned at how much I traveled with. Hey a girls got to be prepared. 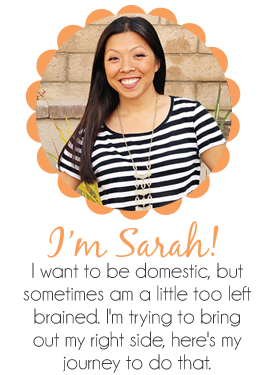 Although I don't typically travel with everything in category 1 and 2, just one of them depending on where I am going. 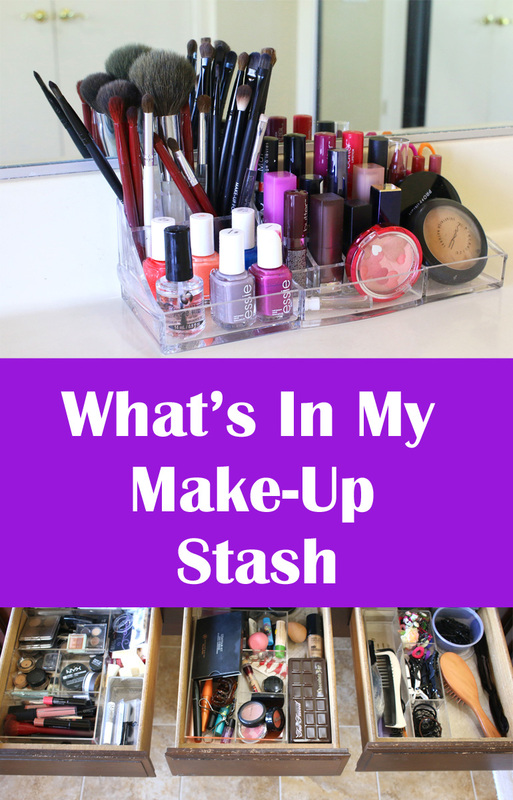 Hope you liked taking a peek into my make-up stash. 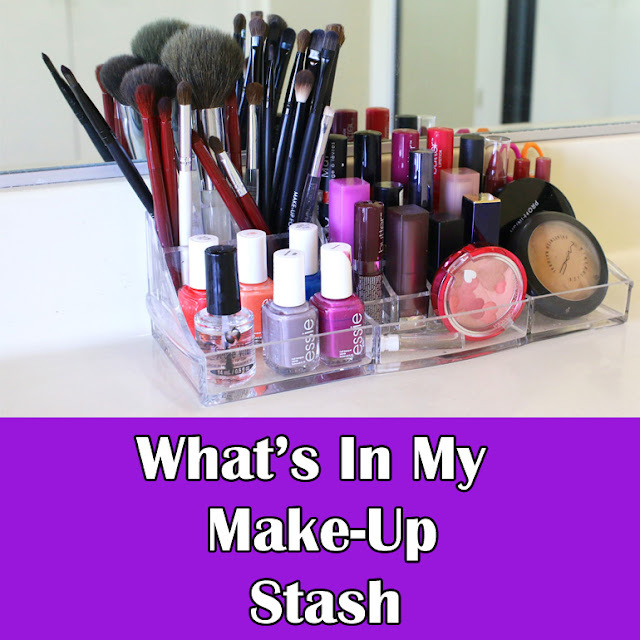 So what's a favorite in your stash I need to know about? 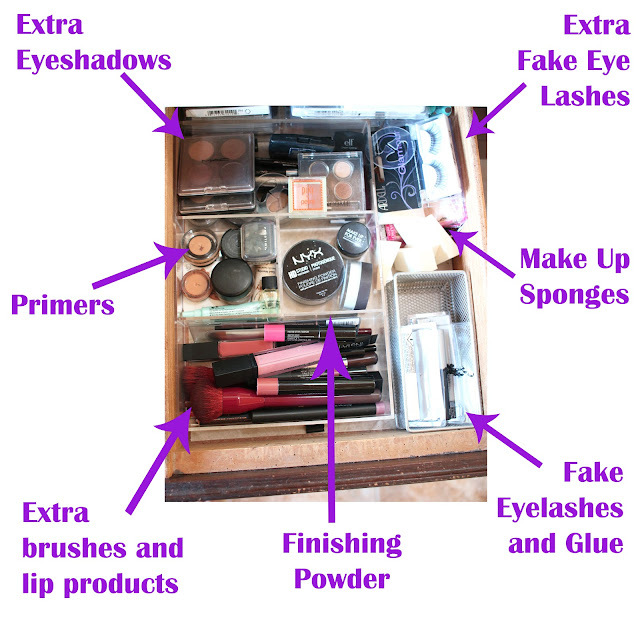 Now head on over to Andrea to see what's in her make up bag.